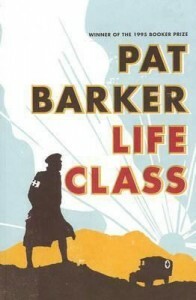 Life Class is a compelling piece of writing by Pat Barker the Booker Prize winner , well known for her novels the “Regeneration Trilogy”. This story revolves around the lives of three young art students, their lives and their teachers at the Slade Art School in London. When World War 1 descends upon them, their lives are changed irrevocably. This author is a master of narrative and as the three main characters get drawn into the horrors of war the reader gets a sense of how it must be to cope in a world of uncertainty. Although set in 1914 this story resonates with all the same issues we are face with in the modern world, such as 9/11, the War in Afghanistan and conflict in general. The story is both a love story and coming of age story, Elinor the main female character is loosely based on Dora Carrington an artist of note who asserted her independence at a time when women usually conformed to traditional female roles. The two male characters vie for Elinor’s affection. Paul goes to the front and becomes an ambulance driver where he witnesses the horrors of trench warfare, while Neville pursues his ambitions and becomes a successful artist. The themes addressed in this story revolve around class in Britain during WW1, the tragedy of the maiming and loss of life of young British soldiers. Loyalty to country and the price to be paid. The sequel to “Life Class” is called Toby’s Room, (Toby is Elinor’s younger brother who goes off to war at the end of this novel), and has just been published in December 2012, I am looking forward to the next instalment of events in the lives of these characters. This entry was posted in All, Fiction, Recommended Reading and tagged book review, books, Life Class, Parramatta City Library, Pat Barker, reading by admin. Bookmark the permalink.